Digital text forensics aims at examining the originality and credibility of information in electronic documents and, in this regard, to extract and analyze information about the authors of these documents. The research field has been substantially developed during the last decade. PAN is a series of shared tasks that started in 2009 and significantly contributed to attract the attention of the research community in well-defined digital text forensics tasks. Several benchmark datasets have been developed to assess the state-of-the-art performance in a wide range of tasks. 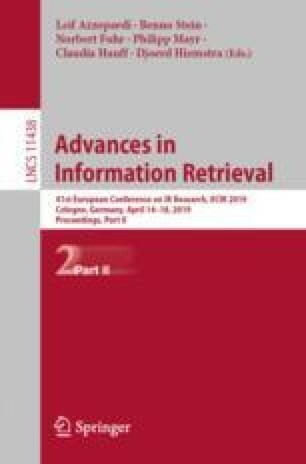 In this paper, we present the evolution of both the examined tasks and the developed datasets during the last decade. We also briefly introduce the upcoming PAN 2019 shared tasks. We are indebted to many colleagues and friends who contributed greatly to PAN’s tasks: Maik Anderka, Shlomo Argamon, Alberto Barrón-Cedeño, Fabio Celli, Fabio Crestani, Walter Daelemans, Andreas Eiselt, Tim Gollub, Parth Gupta, Matthias Hagen, Teresa Holfeld, Patrick Juola, Giacomo Inches, Mike Kestemont, Moshe Koppel, Manuel Montes-y-Gómez, Aurelio Lopez-Lopez, Francisco Rangel, Miguel Angel Sánchez-Pérez, Günther Specht, Michael Tschuggnall, and Ben Verhoeven. Our special thanks go to PAN’s sponsors throughout the years and not least to the hundreds of participants.